In a large food processor, combine all ingredients for the crust until no chunks are left and the mixture is easily pressed together. Press the mixture into an even layer on the bottom of an 8″ springform pan or 8″ circular cake pan, press the crust about 1″ up the sides of the pan too. If you use a cake pan I’d line it with parchment paper just to make it easy to get out of there. 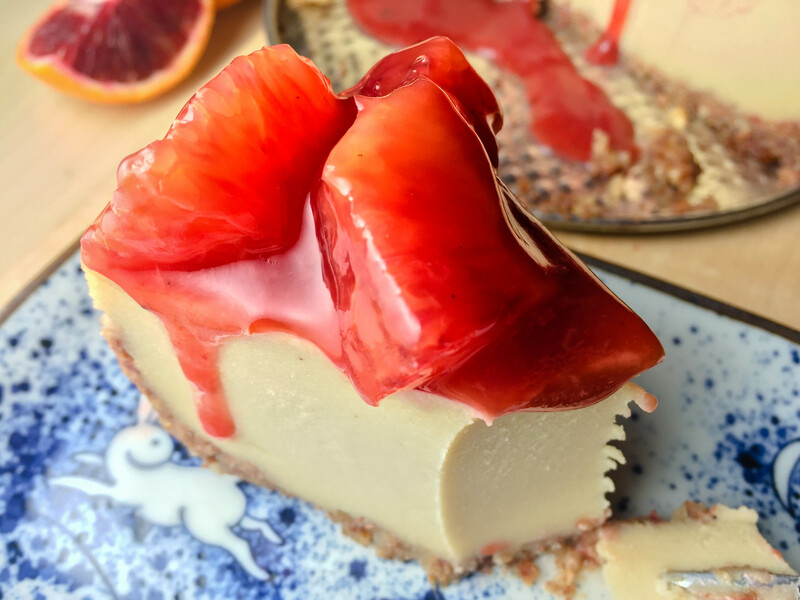 Next, blend together everything for the cheesecake batter until it’s super creamy and smooth, scraping down the sides and leaving no chunks at all. Depending on your blender or food processor, this might take up to ten minutes on high. Pour the cheesecake batter over the crust. 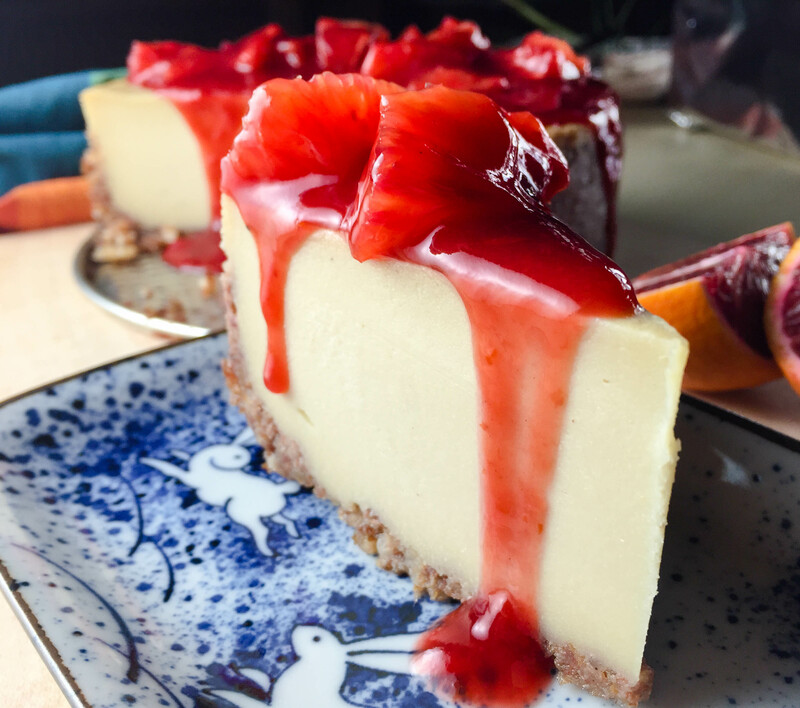 At this point, you can either put the cheesecake straight into the refrigerator to chill overnight or for a browned top and a bit thicker consistency, bake at 350 degrees for 45 minutes then chill overnight. 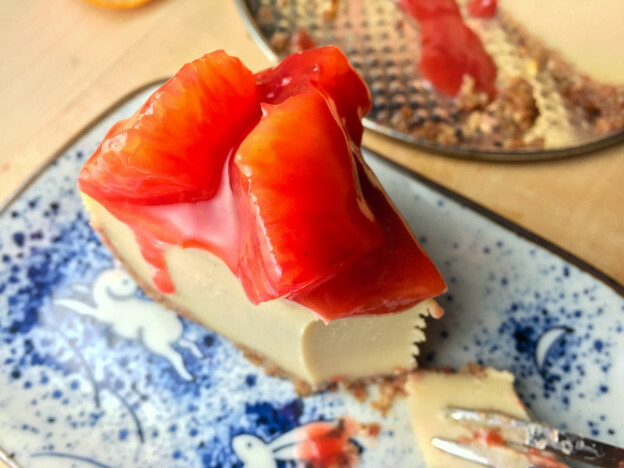 Just before serving, pour the blood orange sauce over top of entire cheesecake. Slice, enjoy, let me know how it goes! 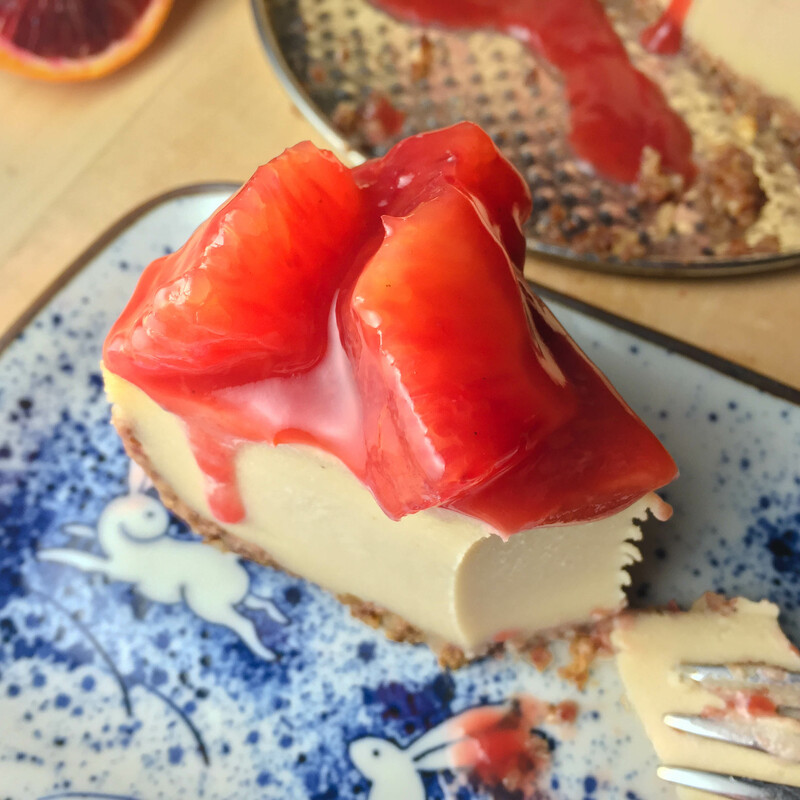 If you are worried about your cheesecake cracking in the oven (not something I actually ever care about, but yeah I know some people do), just double wrap the springform pan in aluminum foil and set it in a glass cake dish with about 1″ of water at the bottom. Bake it in the water bath, but be sure not to cover the top of the cheesecake with foil though, just the pan so water doesn’t seep in through the bottom.